Where to hang your feeder? 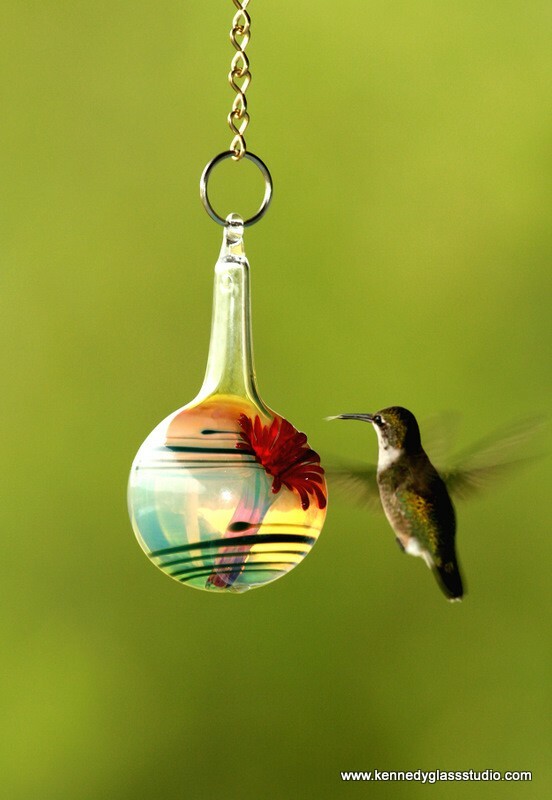 A feeder may be found sooner by the hummingbirds if hung over, or near, a garden of hummingbird plants. However, my feeder is about 6 feet from a tree, hung from a garden pole, and the hummingbirds found it within a week or so. I can see it from my window but it’s in a place that isn’t disturbed when I’m out in the garden. If the feeder is placed in the shade, the nectar will remain fresh longer. But, if you are willing to change it more often, it’s fine to hang it in the sun. I have very little shade in my yard, so my feeder is in full sun. The feeder should be placed out of the reach of cats. I don’t have cats, but I do have three dogs, and the hummers don’t seem to care about them. If you like, you can hang the feeder near a window so you can watch the birds eat. Hummingbirds are so quick that they quickly lose their fear of us slow-movers. After just a few days, or a week, of feeding outside of a window, most hummingbirds will let you come right up to the window and watch them eat. My hummingbirds will sometimes fly around me when I’m in the garden, especially if it’s time to refill the feeder. Up next, when, when and when.